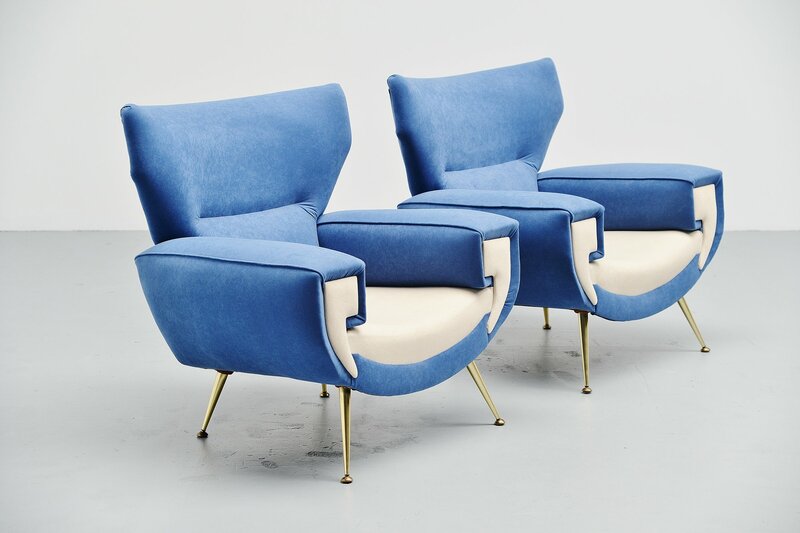 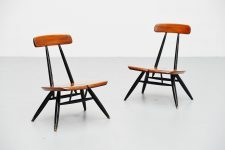 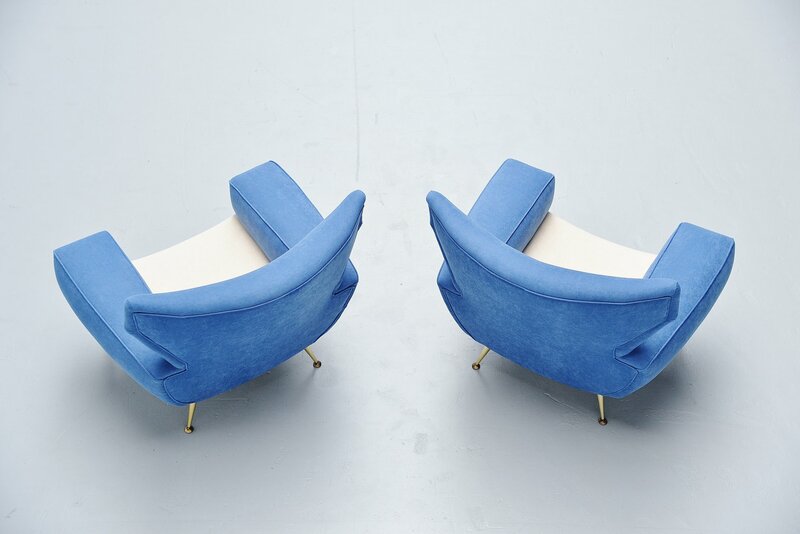 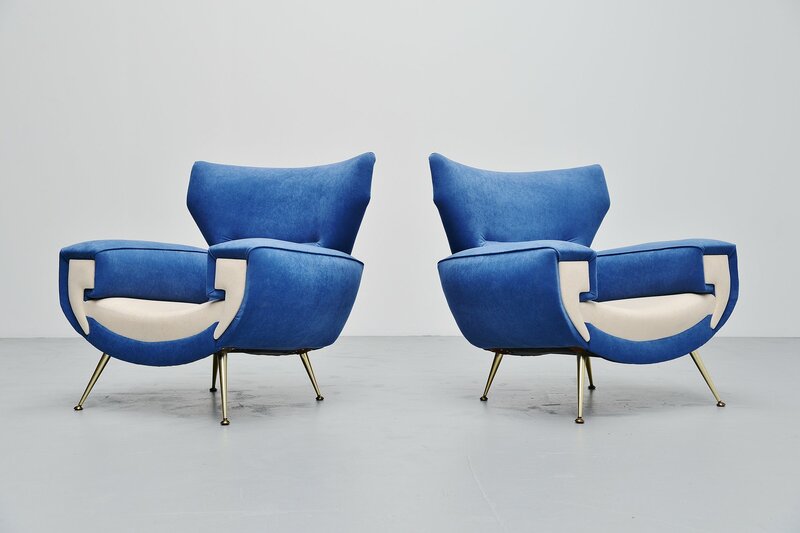 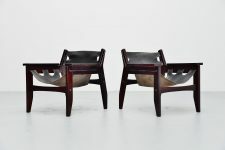 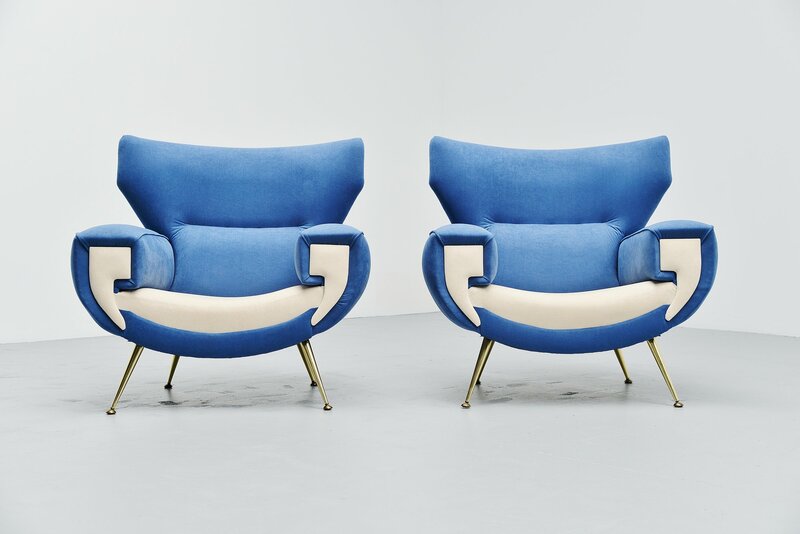 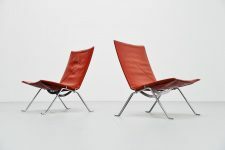 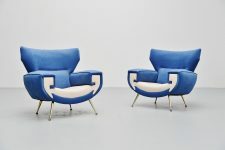 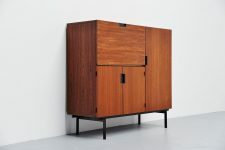 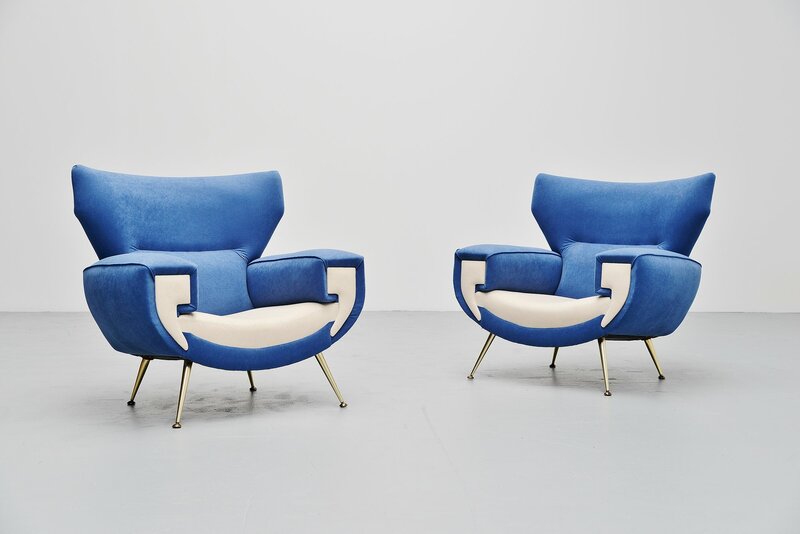 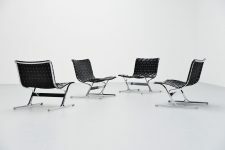 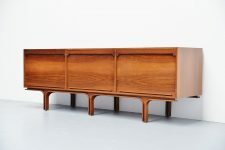 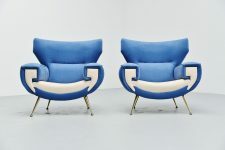 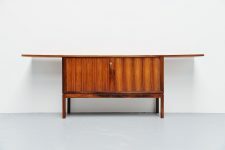 Spectacular pair of large club chairs made by unknown manufacturer or designed, Italy 1960. 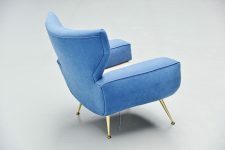 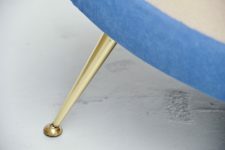 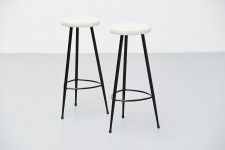 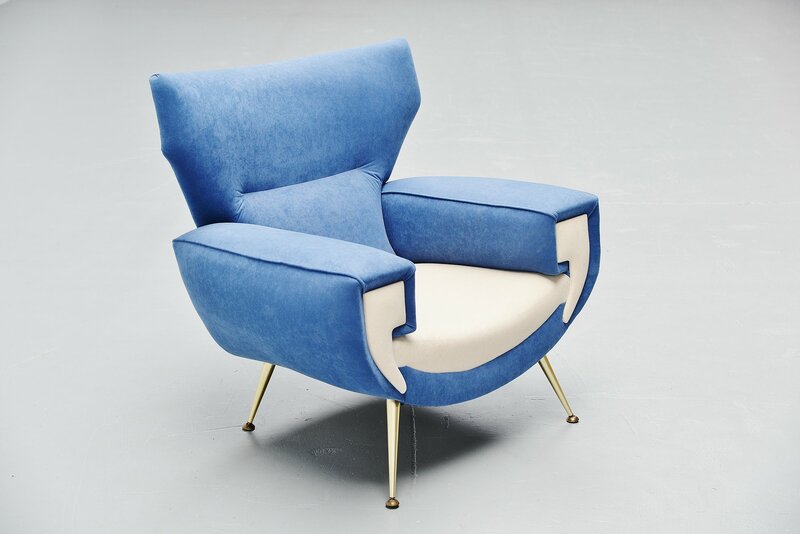 These nice shaped chairs have brass legs and we have newly upholstered them in blue and white velvet fabric upholstery. 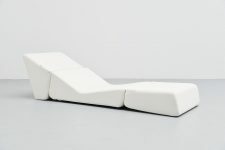 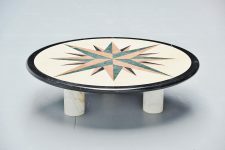 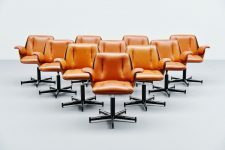 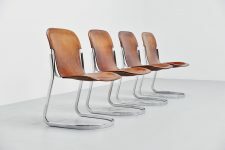 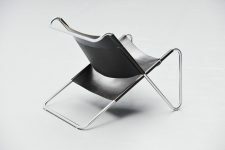 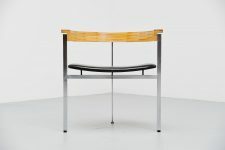 The chairs have a very nice and unusual shape and seat very comfortable.